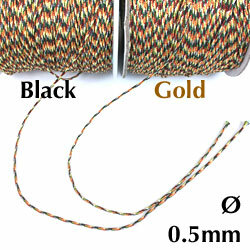 Tibetan Buddhist 5 Color Braided Cord is usually made with these five colors: yellow, green, red, black, and white. 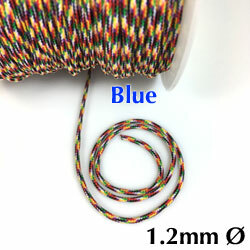 Blue is often substituted for black and gold thread are sometimes added. These colors represent the five elements and the five pure lights. Black or blue symbolizes the sky and space; white, air and wind; red, fire; green, water, and yellow symbolizes earth. According to traditional Tibetan medicine, health and harmony are produced through the balance of these five elements. Diameter, dye lot may vary. Greens and blues vary in color depth. 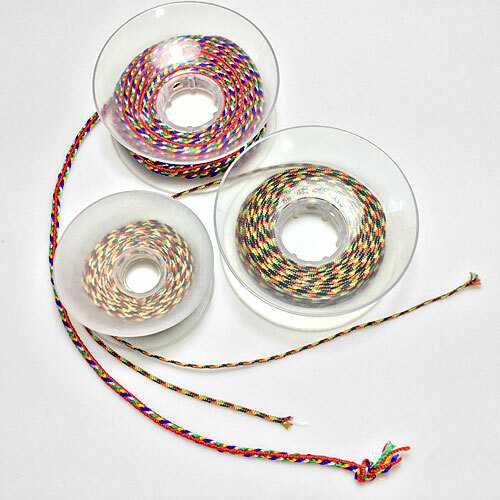 Spools may have occasionally splices and braiding errors. Spools yardage may vary. Imported from China. Bobbins wound in the USA. Round braid with center core. Matte finish is matte. 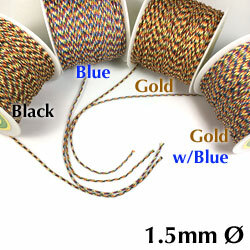 These cords are jewelry quality cords. Braided evenly. 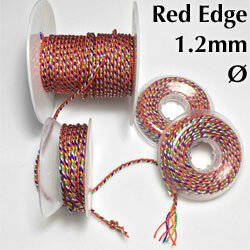 Diameters suitable for jewelry projects. 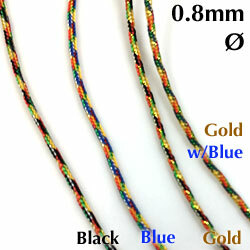 Braided with 8 cords: 4 red cords, and 1 blue, white, green and yellow cords. 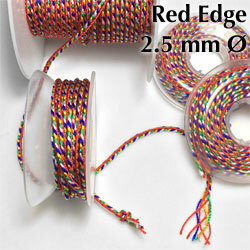 The red cords create an edge on each side of the round braid. The other four colors show up in as a diagonal candy cane pattern in between the red side vertical stripes. 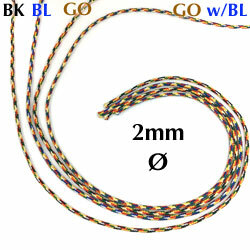 Has more sheen than the other Tibetan Buddhist cords.